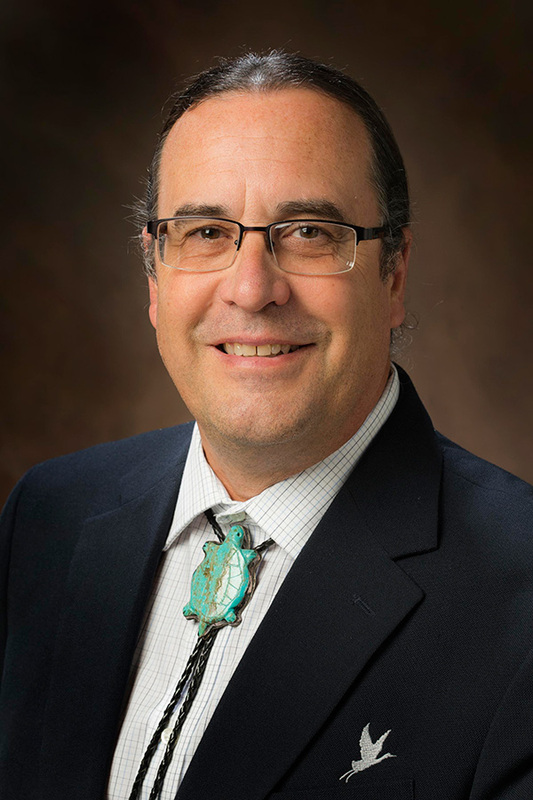 A $311,641 grant from the National Endowment for the Humanities will expand the work of Miami University’s Myaamia Center on revitalizing indigenous languages. In 2012, Miami, with a national endowment grant, developed software to create the Miami-Illinois Digital Archive for Indigenous Languages. This new grant will allow for improvements and expansion of the existing digital archives and the development of software to identify and analyze archival materials. In addition, it will provide for two training workshops for tribal representatives and scholars engaged in language revitalization efforts. The Northwest Indigenous Language Institute is part of the planning team for the workshops. In 2015 and 2017, the Myaamia Center partnered with the Smithsonian Institution’s Recovering Voices Program as a co-host of the National Breath of Life Archival Institute for Indigenous Languages workshop. National Breath of Life has been supported in part by the National Science Foundation Documenting Endangered Languages program since 2011. Miami provided organizational and curatorial support for the workshop as well as additional funding. Breath of Life is unique in providing archival access for native language activists and scholars. 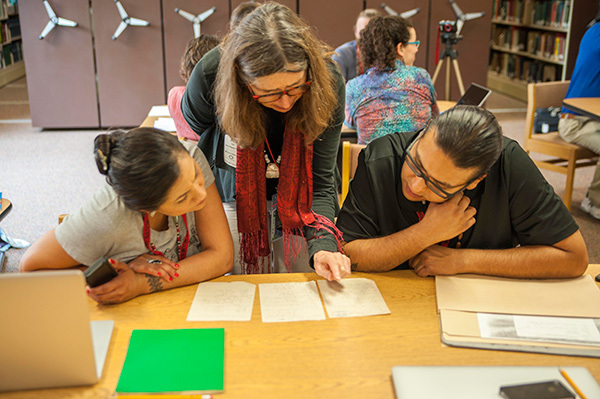 Over the course of the two weeks of the workshop, about 40 native community members from across the country gathered to analyze documentation on 14 languages and cultures. Miami Tribe Relations - "Learning from each other"
The Miami Tribe of Oklahoma has engaged in language and culture revitalization since the mid-1990s. In response to the need for creative and innovative approaches, the Miami Tribe partnered with Miami University to create an interdisciplinary research center in 2001, the Myaamia Center, to develop the vision and capacity for language and culture education development. 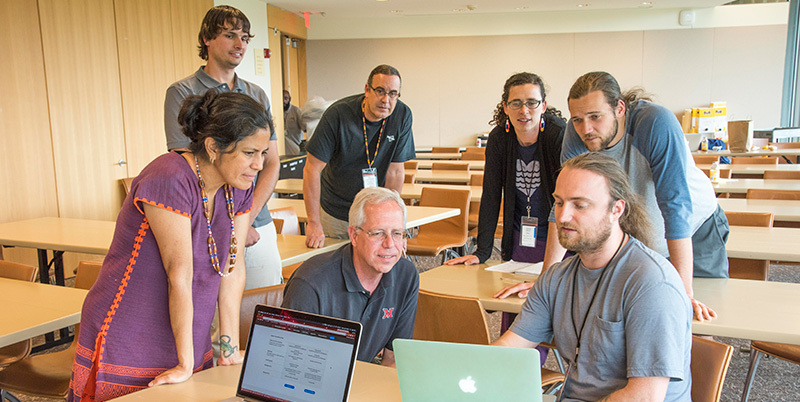 “I am pleased with all the work the Myaamia Center has achieved at Miami University, and with the support of NEH, we are able to share software with other nations working to reclaim their languages,” said Chief Douglas Lankford of the Miami Tribe of Oklahoma. Sharing a common name and place, the connection between the university and the tribe spans more than four decades and has evolved into a multilayered collaboration built on trust, respect and a shared commitment to education.